Dylan Hysen, Hayley Nabuurs, & Andy Potter recap the Volume 5 Finale of RWBY, “Haven’s Fate”. Are you going to quit this show? Sometimes, I wish Miles and Kerry can hear some of your podcasts. You have some good criticisms on writing. What did you think of the teasers at the end of the finale? fun fact! This is the first RWBY episode that features both Yuri Lowenthal (Mercury’s VA) and Tara Platt (the VA of Kali Belladonna), who are married to each other in real life and have worked together on several other projects. So you guys would just cut all the actual story? leaving nothing but fight scenes and inserting all your shipping pairings? Glad you guys are not in charge of the story. You guys seem to forget a very simple thing when talking about the writing. They’re written as movies first, not “episodes”. 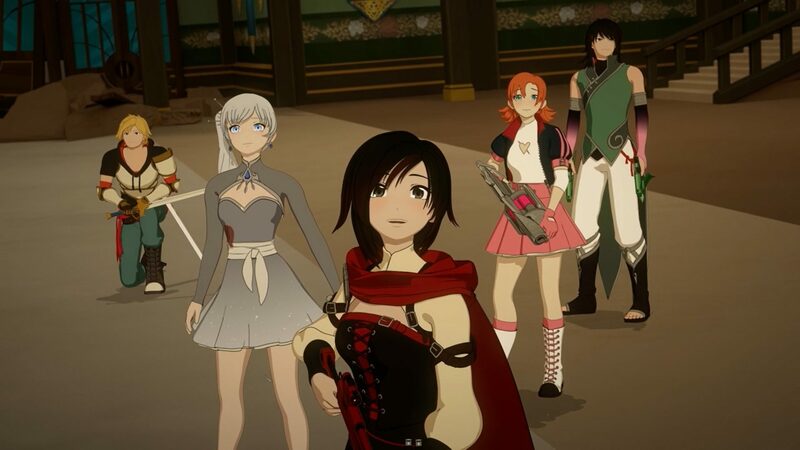 Also while Team Rwby is the focus, They are not the most important characters in the show, a well rounded cast is better than focusing on just Rwby. I agree they’re probably written as a season and not episodes, but the obvious question then is why release them weekly as episodes??? It’s 100% valid to critique the episode as episodes if that’s what Rooster Teeth is giving us. They originally intended the White Fang to have a larger role across more seasons, with Adam as the introduction to the commanders (in a video game, he’d be the unwinnable boss fight at the end of Act I who comes back as the Midboss of the last dungeon). Later, they decided to cut the White Fang arc, but they’d already established that Adam wasn’t the leader, so beating him wouldn’t end the Fang. They showed him become the leader in a way that left no one else with a competing claim, so that when Adam went down, the Fang went with him.